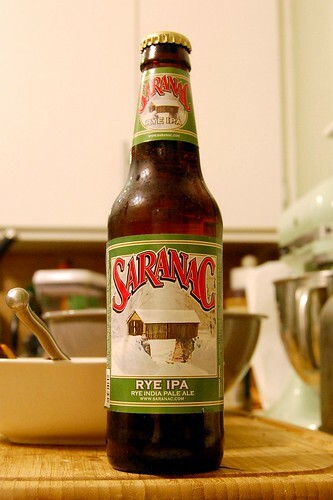 Saranac Rye IPA, a mild hint of spicy rye astutely hidden within the body of an otherwise classic IPA. What’s not to like? A steady pour, a quick sniff -- and you’ll notice a deep amber complexion. 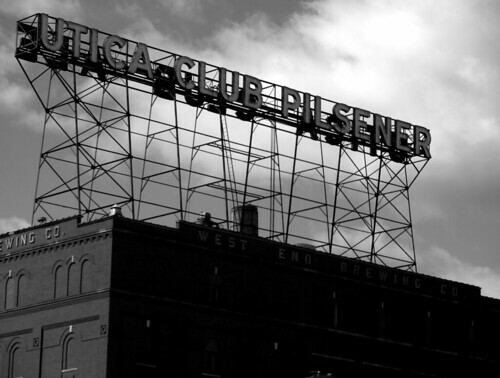 Maybe pick up some citrus and a hint of rye, if you're lucky. Though, based on the description and my expectations, both the bite and presence of the rye were diminutive. So, it’s not as aggressively hopped as Bear Creek or Green Flash’s offerings, West Coast style IPAs. Though it features a relatively low IBU count, it boasts something for hopheads and ale-iens (those of you preferring a mild lager or pilsner) to share -- a light, crisp, earthy finish. 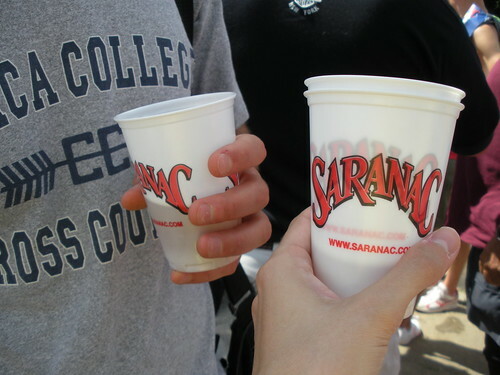 Saranac beers are some of our favorite go-to brews when we simply can't agree on just one. I picked up a hearty 12-pack (Beers of Winter) for a mere $12.99 at Wegmans last night. But it's not the price that has us hooked. 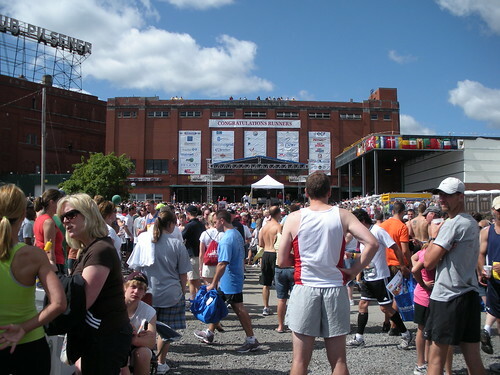 It's Saranac's yearly 15K -- the Boilermaker in Utica, NY. Of course, you can't read a post on here without having some kind of running reference. The race is a great time. Not only because the course is relatively flat and fast, but also because that after party can't be beat. 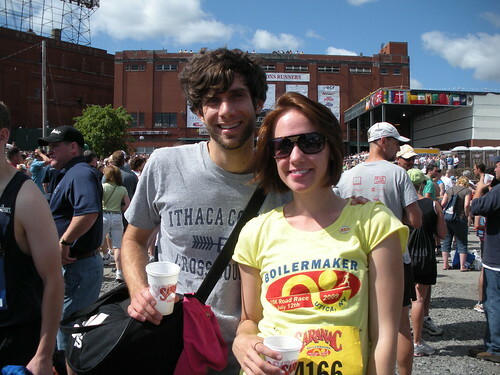 The Boilermaker has even been rated by Runner's World as one of the (if not THE) best 15Ks in the entire country. So if you're in the NY area this July, you should consider signing up. Registration opens, well, it already opened. And it'll fill up fast. 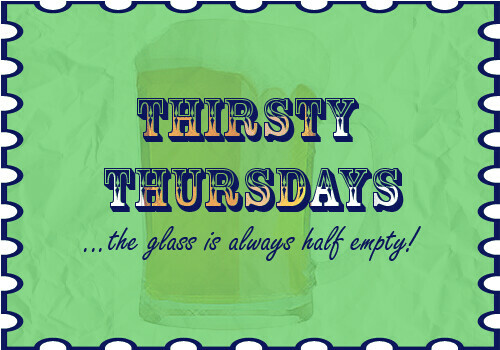 This has been another hoppy installment of THIRSTY THURSDAY. If you're new to (never home)maker, be sure to check out previous weeks' posts.